I’ve been in such a festive mood recently and have really enjoyed reading everyone’s Christmas gift ideas etc. 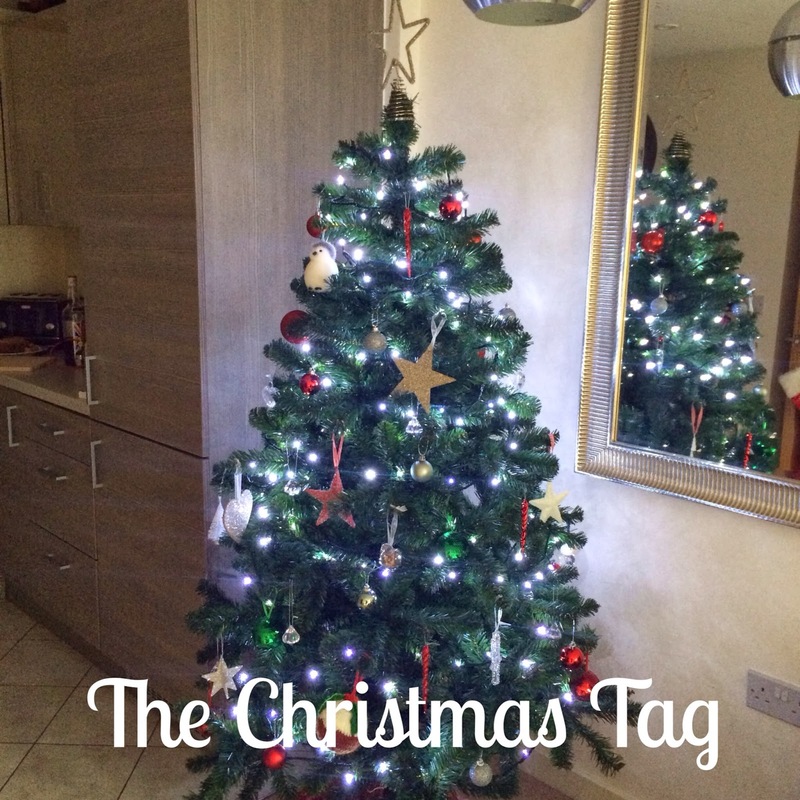 I recently came across a Christmas Tag on Beckas Beauty Blog and thought I love a tag so why not give it a try too. Do you prefer a real Christmas tree or synthetic? I would like a real Christmas tree but with all the falling thorns you’d have to clean up after I decided on a synthetic one instead (in the above pic). It’s also a cheaper alternative as you don’t need to buy a new tree each tree. You’re in a coffee shop, it’s December, what do you pick? Well if I wasn’t preggo then I’d be in Starbucks ordering a grande gingerbread latter. At the moment I’m sticking to the new orange hot chocolates with cream on top. Tastes exactly like Terry’s Chocolate Orange. What’s your favourite colour scheme for decorating the tree? Red and silver. I don’t really like the whole multi colour theme. Both! Ha! I really enjoy buying presents as it gets me into the festive spirit and I love watching the expressions on my family/friends faces as they are opening their gifts. I also like receiving presents too, you’d be lying if you said you didn’t! To mince pie or not to? It depends on where the mince pies are from, the ones I had in the Cotswolds were out of this world. What’s your traditional Sunday lunch? A good old Sunday roast with all the trimmings, Preferably a lamb joint, with vegetables, roast potatoes, honey roasted parsnips, yorkshire puddings, brussel sprouts, mince sauce swimming in gravy. Yum! The whole Michael Buble Christmas album, I’ve listened to it everyday in December so far. I’m surprised it hasn’t driven me crazy. What’s your favourite Christmas film? Elf, I watch it every year and still laugh just as hard. I also like to watch as many of the Harry Potter films around Christmas time for some reason. Open presents before or after lunch? Before! There’s noway I could wait until after lunch. Even as a child my sister and I would wake up at the crack of dawn, wake our mum up and run downstairs to open our presents in our pyjamas it was honestly the best thing in the world. I tag everyone to do this post. I love reading these sorts of posts so leave your links to yours in the comment section below.